While astronauts have the privilege of living and working aboard the International Space Station, it’s not as glamorous as you might suspect. Their living quarters are cramped and they are forced to live off freeze-dried or dehydrated food that is far from something most people on Earth would choose to enjoy for flavor. 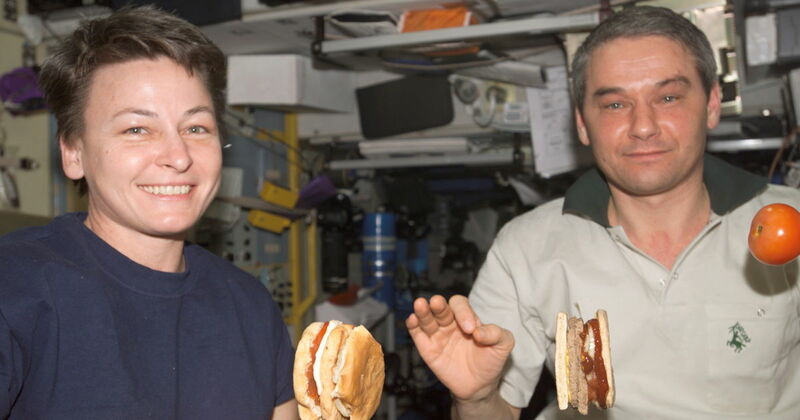 The food astronauts eat is chosen because it helps avoid safety concerns, such as meals flying all over the spacecraft and causing short circuits and other issues. With that being said, astronauts for the holiday season have been eating safe, special gourmet meals prepared by world-renowned chefs. London-based chef Heston Blumenthal prepared meals for British astronaut Tim Peake, currently on the ISS, that included Christmas puddling, Thai chicken curry, Alaskan salmon, and a roast. The idea was nice, giving astronauts a taste of the food they enjoy at home while aboard a 6-month stint in space. “I felt a surge of pride to be involved in such a historic moment for both astronomy and gastronomy. Imagine telling a young boy that when he grows up he will create food for astronauts to eat in space – it’s a dream I couldn’t even envisage, let alone it coming true!” Blumenthal told The Guardian. The next time you complain about a Thanksgiving meal or another dish your served over the holidays just keep in mind that astronauts are working in the name of science while eating freeze-dried turkey and cranberries.